Originally trained as a musical composer, receiving her MFA and Ph.D. from the University of Illinois, Champaign-Urbana, Trinh T. Minh-ha (b. 1952) is a world-renowned documentary feminist filmmaker and expert on avant-garde and third world post-colonial film theory. In 1970, Minh-ha came to the United States from Vietnam at the age of seventeen. Since then she has been involved in film, musical composition, social theory, and critical writing. She is Professor of Women's Studies and Rhetoric at the University of California Berkeley, specializing in Film Theory and Production, Third World Film, and Feminist Theory. 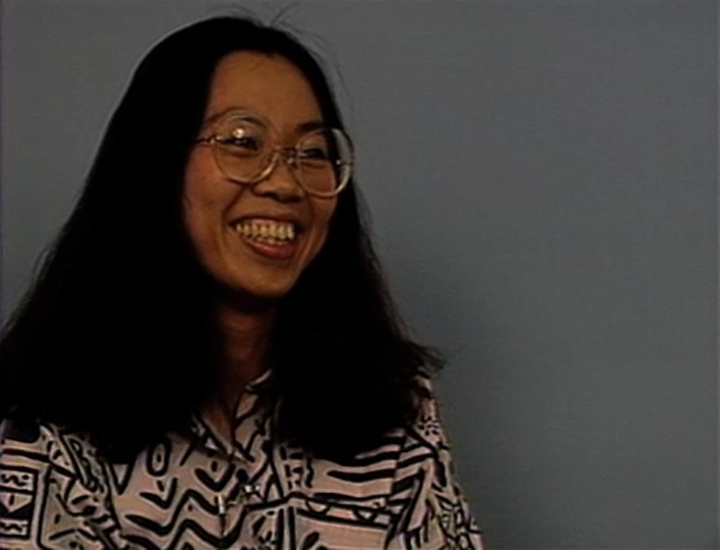 This interview focuses on three films by Trinh T. Minh Ha; Reassemblage (1982), Naked Spaces: Living is Round (1985), and Surname Viet Given Name Nam (1989). As a feminist and post-colonial theorist, Minh Ha’s interests lie with the power and politics of language, as well as the forces of ethnocentrism and colonialism that naturalize the telling of histories. In this interview, she discusses her decision to move to Dakar, Senegal, and the impetus for the production of her first film, Reassemblage. The film was created to oppose the institutional knowledge of “Africa” depicted by the colonial administration. Minh Ha also describes how her second film Naked Spaces similarly investigates the performance of identity through the work of translation. In addition to providing insight into Minh Ha’s films, this interview offers a commentary on the format of the “interview” itself as an object shaped by cultural and political positioning. Discussing her own use of interviews in filmmaking, Minh Ha invites viewers to take a more critical approach to the frameworks of information through which they receive cultural records. She interestingly exposes the “politics of the interview” while also suggesting that conversations are invaluable tools for the construction of identity, public memory, and cross-cultural communication. Interview conducted by Pam Falkenberg in 1989.